Core exercises and strength go beyond abdominals. Core training incorporates the diaphragm, pelvic floor, and the muscles of the spine, the hips, and the shoulder. The Plank and Side Plank poses are the perfect prescription to build your core strength. These core exercise are a part of my Health Guides series. Welcome to The Guide to a Stronger Core — the guide dedicated to core exercises and core strengthening exercises. 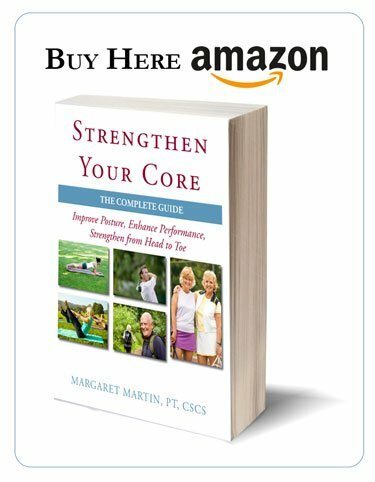 If you’re really serious about building a stronger core, I would encourage you to purchase my book called “Strengthen Your Core”, which covers in far more detail what the blogs in this guide will provide you with. But this guide is a good starter. If you’re motivated by this guide and want to delve further, then I would encourage you to then to get the book and take that next step. Often, when people think about their core strength they’re thinking about the six-pack muscles. They are actually the wrong muscles to think about, because they’re our most superficial abdominal muscles. The inner core are our breathing muscles, our diaphragm, and our pelvic floor. Every breath you take, how you integrate your breath into your workout, are essential to the start of building a stronger core. The next thing to do is to align your body in such a way that your muscles can best function. Our diaphragm doesn’t function very well when we’re in a stretched position, nor does our pelvic floor, nor does our deep abdominal muscles. Aligning yourself and elongating your body in the best of your ability before you engage in core muscles. This is something that I cover in this guide. Often, those exercises are so challenging that your body will do it, but you’re not actually going to activate the muscles that you need to to build the depth of the strength that you need. You’re going to be working more of your superficial muscles all the time. In Strengthen Your Core, I walk you through step by step the progression of planks and side planks so that you will ensure that your entire core musculature, which involves the muscles of the shoulders and the hips, are all being strengthened at the same level. At times you will find that your limitation is your shoulder. You need to build your shoulder before you can move on so that your whole body becomes integrated in it’s strength. Then you can trust your forces from your lower body through the center into your upper body and vice versa. If you’re truly interested in building a stronger core, I invite you through these blogs where we talk about posture, breath, alignment through planks and side planks, core exercises and core strengthening exercises. The Plank and Side Plank poses are beneficial for all types of individuals—from patients in rehabilitation to elite athletes in training. Both of these poses improve posture, and strengthen the muscles of the core and of the upper and lower body. When the correct pose is chosen and well executed, the benefits are numerous. I am a Physical Therapist by training and profession. My clients range in age from 15 to 95. The 15 year old clients are usually sent my way for posture and performance-related issues. The many hours children (and adults) spend in a slouched forward position as they hover over their video games, smart phones, and computers can wreak havoc to the body. The 15 or 45 year old does not need more forward-bending movement in their lives. As a result, they certainly do not need crunches in their exercise program! This is why the Plank and Side Plank are so beneficial. Many of my older clients have been diagnosed with osteoporosis or low bone density. In their quest to develop a stronger body, Planks and Side Planks allow us to build core strength while avoiding contraindicated crunches. All of my clients benefit from doing Planks and Side Planks at a level that challenges them. Having taught so many variations of Planks and Side Planks over the years, I realized that knowledge and awareness of the different Plank and Side Plank progressions were not easily available—but needed to be. That is the motivation for me to write the book Strengthen Your Core. Strengthen Your Core is for someone concerned about their fitness and who wants to optimize their performance in a safe, efficient, and effective manner. With this book, you will learn how to train your core safely. You will understand how you can modify the levers within your body to optimize and isolate the target of your training. In addition, you will understand the structures that are involved in core stabilization. 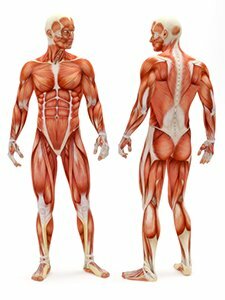 An understanding of the anatomical structures involved in doing Planks and Side Planks. An understanding of key elements needed to help you match your strengths and weaknesses with the most appropriate Plank and Side Plank poses for you. The knowledge you need to customize and progress your Plank and Side Plank as your fitness and functional strength improves. Multiple examples of Plank and Side Plank exercises from Beginner to Elite level. I have published a number of blog posts on core exercises and core training using the plank and side plank. Here are the key articles. Are Planks and Pushups Appropriate Osteoporosis Exercises? 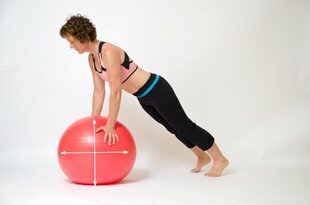 Build a Stronger Core is my free online course for both health professionals and individuals who want to understand of how to build a stronger core. I have tried to make the text, illustrations and photos in Strengthen Your Core as rich as possible. However, I believe that many of the important concepts in Strengthen Your Core are best explained using video. Below is over one hour of video content that accompanies a number of the sections in the book.